Manchester has long been a city of firsts – from the first canal and railway and the foundation of the women’s suffrage unit to more recent achievements such as the invention of graphene. Manchester is also leading the way in English devolution, and history shows that where Manchester leads the rest of the country tends to follow. For those of us interested in public policy and how public services work, these are exciting times. Devolution provides the opportunity for different places to take greater control of policy issues at a local level and to design approaches that best suit their needs. So far there has been a focus on economic growth but there is also scope to introduce broader reforms to public services like skills, health and social care and employment support. Since the Behavioural Insights Team (BIT) was founded in 2010, our overarching aim has been to devise new ways of making public services work better for the people they serve. We have done this by introducing a more realistic model of human behaviour to policy-making We are perhaps best known for the small changes (or nudges) we have made to routine processes such as tax letters. However we have also spent time considering what behavioural insights tells us about larger issues such as poverty and decision making and about how to design regulated markets. Initially, there was some scepticism about whether our approach would be successful. One way we have tried to overcome this is by taking a highly empirical approach; we test and trial our ideas and carefully measure the impact of our work. Since we were founded we have carried out more than 300 randomised controlled trials, which have shown that our approach has helped to make public services more cost-effective and easier for people to use. Just as importantly, there have also been cases where our approach has shown the opposite to be true – that the new approach hasn’t lead to the improvements we were expecting. We strongly believe that sharing both what does and doesn’t work is an important part of our work, which is why we publish an annual update which outlines the results from the range of projects that we have been involved in.How is this relevant to devolution? Until now, BIT have tended to work with central Government or individual local authorities. We hope that this will change with the launch of BIT: North, our first regional office, in Manchester. BIT: North will work with places across the North to explore how behavioural insights can be applied in order to make the most of the opportunities that devolution presents. We’ve already begun working with the Greater Manchester Combined Authority on a range of projects that support public service reform. The projects include supporting place-based working, tackling loneliness and improving vaccination take-up. One of the aims of our work in Manchester, and across the North of England, is to spread the application of behavioural insights even further. One of the ways we do this is by going to talk to different organisations to introduce the approach as well as the work of our team; so we were encouraged that a seminar we gave at New Economy last week proved so popular. Devolution has given cities across the North the opportunity to pursue genuinely innovative approaches to designing social policy. By developing new ways of delivering public services and testing them robustly, the North can lead the way in developing new approaches to complex social policy challenges. We look forward to playing our part in making that happen. For further information about the team and our work, please visit www.behaviouralinsights.co.uk and find out more. 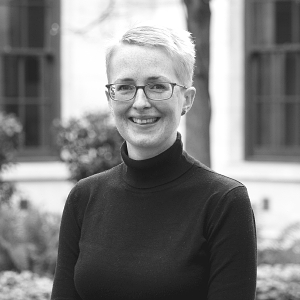 Felicity is the Head of the Behavioural Insights Team: North, based in Manchester, and is currently working with Greater Manchester Combined Authority (GMCA) to embed the behavioural insights approach to policy-making across Greater Manchester.